Our access programs create encounters with art through visual, auditory and tactile experiences. Free audio-described and multi-sensory tours are designed specifically for blind and vision-impaired visitors. Held on the third Saturday of each month. Free Auslan interpreted guided tours of exhibitions and the general collection are presented regularly for deaf and hearing-impaired visitors. Insightful floor talks about key works of art in exhibitions and the general collection are presented weekly by curators or guest speakers, accompanied by an accredited Auslan interpreter. 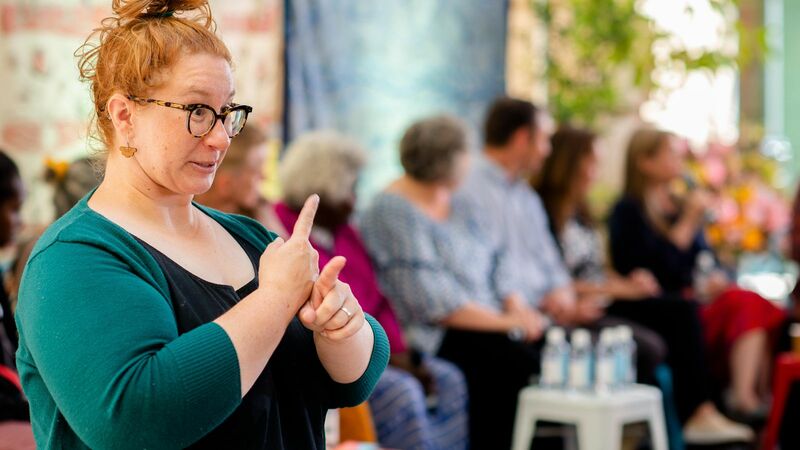 Auslan interpreted tours are available at other times by request, but fees may apply.